Europe's financial crisis has unleashed forces that herald the European Union's fragmentation. I have focused on the growing fragmentation of Europe. Recently, the murders in Paris prompted me to write about the fault line between Europe and the Islamic world. I wrote about the nationalism that is rising in individual European countries after the European Central Bank was forced to allow national banks to participate in quantitative easing so European nations wouldn't be forced to bear the debt of other nations. 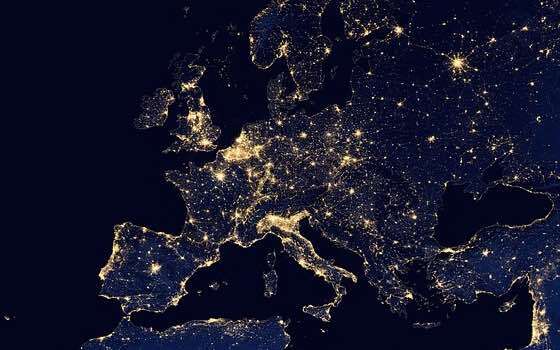 I am focusing on fragmentation partly because it is happening before our eyes, partly because Stratfor has been forecasting this for a long time and partly because my new book on the fragmentation of Europe — Flashpoints: The Emerging Crisis in Europe . This is the week to speak of the political and social fragmentation within European nations and its impact on Europe as a whole. The coalition of the Radical Left party, known as Syriza, has scored a major victory in Greece. Now the party is forming a ruling coalition and overwhelming the traditional mainstream parties. It is drawing along other left-wing and right-wing parties that are united only in their resistance to the EU's insistence that austerity is the solution to the ongoing economic crisis that began in 2008. The German version, and the one that became the conventional view in Europe, is that the sovereign debt crisis is the result of irresponsible social policies in Greece, the country with the greatest debt problem. These troublesome policies included early retirement for government workers, excessive unemployment benefits and so on. Politicians had bought votes by squandering resources on social programs the country couldn't afford, did not rigorously collect taxes and failed to promote hard work and industriousness. Therefore, the crisis that was threatening the banking system was rooted in the irresponsibility of the debtors. Another version, hardly heard in the early days but far more credible today, is that the crisis is the result of Germany's irresponsibility. Germany, the fourth-largest economy in the world, exports the equivalent of about 50 percent of its gross domestic product because German consumers cannot support its oversized industrial output. The result is that Germany survives on an export surge. For Germany, the European Union — with its free-trade zone, the euro and regulations in Brussels — is a means for maintaining exports. The loans German banks made to countries such as Greece after 2009 were designed to maintain demand for its exports. The Germans knew the debts could not be repaid, but they wanted to kick the can down the road and avoid dealing with the fact that their export addiction could not be maintained. If you accept the German narrative, then the policies that must be followed are the ones that would force Greece to clean up its act. That means continuing to impose austerity on the Greeks. If the Greek narrative is correct, than the problem is with Germany. To end the crisis, Germany would have to curb its appetite for exports and shift Europe's rules on trade, the valuation of the euro and regulation from Brussels while living within its means. This would mean reducing its exports to the free-trade zone that has an industry incapable of competing with Germany's. Over the course of several years, unemployment in Greece rose to over 25 percent. This was higher than unemployment in the United States during the Depression. Some said that Greece's black economy was making up the difference and things weren't that bad. That was true to some extent but not nearly as much as people thought, since the black economy was simply an extension of the rest of the economy, and business was bad everywhere. In fact the situation was worse than it appeared to be, since there were many government workers who were still employed but had had their wages cut drastically, many by as much as two-thirds. There was a deep belief in the European Union and beyond that the nations adhering to Europe's rules would, in due course, recover. Europe's mainstream political parties supported the European Union and its policies, and they were elected and re-elected. There was a general feeling that economic dysfunction would pass. But it is 2015 now, the situation has not gotten better and there are growing movements in many countries that are opposed to continuing with austerity. The sense that Europe is shifting was visible in the European Central Bank's decision last week to ease austerity by increasing liquidity in the system. In my view, this is too little too late; although quantitative easing might work for a recession, Southern Europe is in a depression. This is not merely a word. It means that the infrastructure of businesses that are able to utilize the money has been smashed, and therefore, quantitative easing's impact on unemployment will be limited. It takes a generation to recover from a depression. Interestingly, the European Central Bank excluded Greece from the quantitative easing program, saying the country is far too exposed to debt to allow the risk of its central bank lending. Virtually every European country has developed growing movements that oppose the European Union and its policies. Most of these are on the right of the political spectrum. This means that in addition to their economic grievances, they want to regain control of their borders to limit immigration. Opposition movements have also emerged from the left — Podemos in Spain, for instance, and of course, Syriza in Greece. The left has the same grievances as the right, save for the racial overtones. But what is important is this: Greece has been seen as the outlier, but it is in fact the leading edge of the European crisis. It was the first to face default, the first to impose austerity, the first to experience the brutal weight that resulted and now it is the first to elect a government that pledges to end austerity. Left or right, these parties are threatening Europe's traditional parties, which the middle and lower class see as being complicit with Germany in creating the austerity regime. Syriza has moderated its position on the European Union, as parties are wont to moderate during an election. But its position is that it will negotiate a new program of Greek debt repayments to its European lenders, one that will relieve the burden on the Greeks. There is reason to believe that it might succeed. The Germans don't care if Greece pulls out of the euro. Germany is, however, terrified that the political movements that are afoot will end or inhibit Europe's free-trade zone. Right-wing parties' goal of limiting the cross-border movement of workers already represents an open demand for an end to the free-trade zone for labor. But Germany, the export addict, needs the free-trade zone badly. This is one of the points that people miss. They are concerned that countries will withdraw from the euro. As Hungary showed when the forint's decline put its citizens in danger of defaulting on mortgages, a nation-state has the power to protect its citizens from debt if it wishes to do so. The Greeks, inside or outside the eurozone, can also exercise this power. In addition to being unable to repay their debt structurally, they cannot afford to repay it politically. The parties that supported austerity in Greece were crushed. The mainstream parties in other European countries saw what happened in Greece and are aware of the rising force of Euroskepticism in their own countries. The ability of these parties to comply with these burdens is dependent on the voters, and their political base is dissolving. Rational politicians are not dismissing Syriza as an outrider. The issue then is not the euro. Instead, the first real issue is the effect of structured or unstructured defaults on the European banking system and how the European Central Bank, committed to not making Germany liable for the debts of other countries, will handle that. The second, and more important, issue is now the future of the free-trade zone. Having open borders seemed like a good idea during prosperous times, but the fear of Islamist terrorism and the fear of Italians competing with Bulgarians for scarce jobs make those open borders less and less likely to endure. And if nations can erect walls for people, then why not erect walls for goods to protect their own industries and jobs? In the long run, protectionism hurts the economy, but Europe is dealing with many people who don't have a long run, have fallen from the professional classes and now worry about how they will feed their families. For Germany, which depends on free access to Europe's markets to help prop up its export-dependent economy, the loss of the euro would be the loss of a tool for managing trade within and outside the eurozone. But the rise of protectionism in Europe would be a calamity. The German economy would stagger without those exports. From my point of view, the argument about austerity is over. The European Central Bank ended the austerity regime half-heartedly last week, and the Syriza victory sent an earthquake through Europe's political system, although the Eurocratic elite will dismiss it as an outlier. If Europe's defaults — structured or unstructured — surge as a result, the question of the euro becomes an interesting but non-critical issue. What will become the issue, and what is already becoming the issue, is free trade. That is the core of the European concept, and that is the next issue on the agenda as the German narrative loses credibility and the Greek narrative replaces it as the conventional wisdom. It is not hard to imagine the disaster that would ensue if the United States were to export 50 percent of its GDP, and half of it went to Canada and Mexico. A free-trade zone in which the giant pivot is not a net importer can't work. And that is exactly the situation in Europe. Its pivot is Germany, but rather than serving as the engine of growth by being an importer, it became the world's fourth-largest national economy by exporting half its GDP. That can't possibly be sustainable. There are then three drivers in Europe now. One is the desire to control borders — nominally to control Islamist terrorists but truthfully to limit the movement of all labor, Muslims included. Second, there is the empowerment of the nation-states in Europe by the European Central Bank, which is making its quantitative easing program run through national banks, which may only buy their own nation's debt. Third, there is the political base, which is dissolving under Europe's feet. To even speak of war in Europe would have been preposterous a few years ago, and to many, it is preposterous today. But Ukraine is very much a part of Europe, as was Yugoslavia. Europeans' confidence that all this is behind them, the sense of European exceptionalism, may well be correct. But as Europe's institutions disintegrate, it is not too early to ask what comes next. History rarely provides the answer you expect — and certainly not the answer you hope for. Article: "The New Drivers of Europe's Geopolitics is republished with permission of Stratfor." "The New Drivers of Europe's Geopolitics"